He was found lying on his back with stab wounds on his upper body. Police on Gauteng’s East Rand are investigating the murder of an Ekurhuleni Metro Police Department (EMPD) officer who was and killed while fishing at a dam in Springs yesterday. The body of Superintendent Coert Jordaan, 40, was found lying in the grass at Ashton Lake by an employee at around 2:30pm, Kempton Express reported. Jordaan was a member of the EMPD’s equestrian unit. He was on leave at the time of his death. Springs police spokesperson Captain Johannes Ramphora said the deceased was lying on his back and had stab wounds on the left side of his upper body. 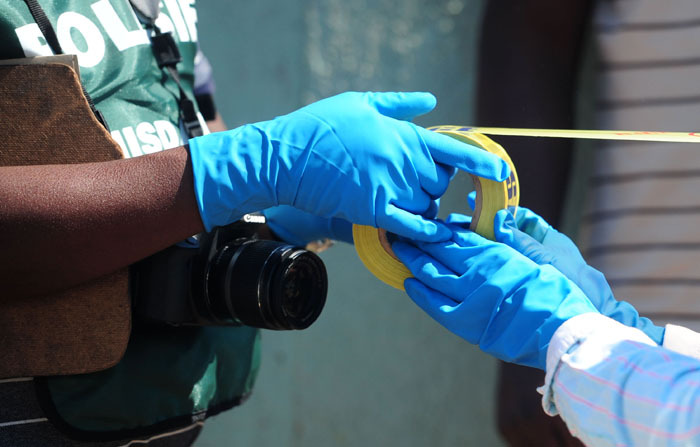 “Upon further investigation the police found there was a struggle between the deceased and his attacker, and that a sharp object was used to stab Jordaan,” Ramphora said. Paramedics responded to the scene and declared him dead on the scene. His vehicle and firearm were also stolen. Though Jordaan was a resident of Brakpan, the Equestrian Unit, which he formed a part of, was based in the Petit area, Benoni City Times reported. “It’s a very sad day for the EMPD, as we lost an important member of the Ekurhuleni Equestrian Unit,” acting EMPD spokesperson Lieutenant Kobeli Mokheseng said. Another officer of the Equestrian Unit expressed sorrow at the loss of his colleague. “He was a very close friend of mine, we started working together 20 years ago,” said the officer, who asked not to be named. In a separate incident, CCTV footage emerged showing an EMPD officer being shot and killed after happening upon an armed robbery in progress at Rosettenville Junction Shopping Centre, Johannesburg, last year. In the video, the 60-year-old police officer, seemingly unarmed, walks into the robbery and up to the suspects. One man, previously seen on crutches, then grabs and starts wrestling with the officer. Another suspect comes out from behind a pillar and fires at the deceased. The suspects later fled the scene.